Stylish and retro, these casual table and chairs are low-key and elegant. 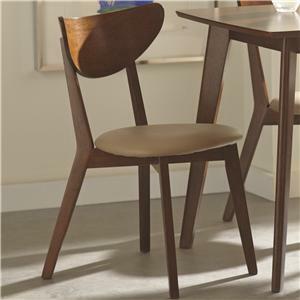 Angled out legs give this table a trendy silhouette and matches the chairs angled out feet perfectly. 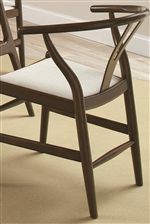 Deep curved backs give these chairs a retro casual feel and upholstered cushioned seating means you will love having your family and friends over for fantastic dinners when you know they get to sit in these comfy chairs. 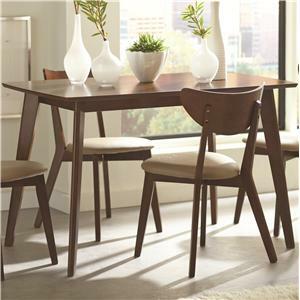 Finished in a warm Walnut color, this table and chairs set will brighten up any dining room. 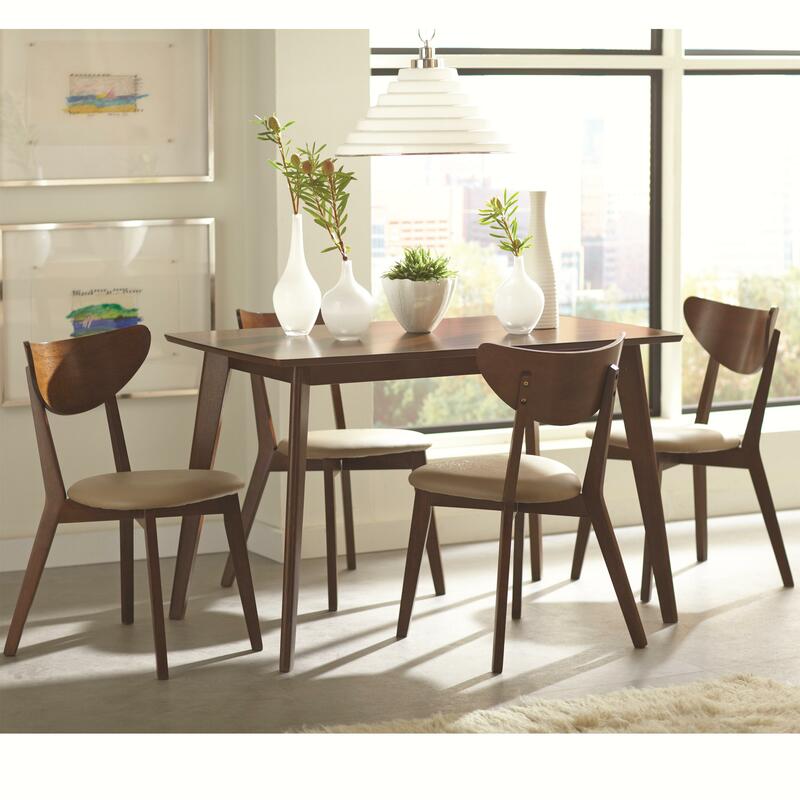 The Kersey 5 Piece Dining Set with Angled Legs by Coaster at Value City Furniture in the New Jersey, NJ, Staten Island, Hoboken area. Product availability may vary. Contact us for the most current availability on this product. 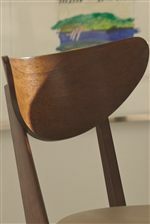 The Kersey collection is a great option if you are looking for Mid-Century Modern furniture in the New Jersey, NJ, Staten Island, Hoboken area. 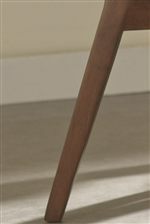 Browse other items in the Kersey collection from Value City Furniture in the New Jersey, NJ, Staten Island, Hoboken area.